Acupuncture - a method of traditional Chinese medicine. According to her teaching most of the diseases caused by violation of the harmonious circulation of " vital energy " Qi on so-called meridians. During treatment with this method the impact on the human body is by pricking certain acupuncture points on the body with needles .Acupuncture uses special disposable stainless steel needles . Acupuncturepromotes the activation of self-healing , positive effect on overall health , helping to cure various diseases. 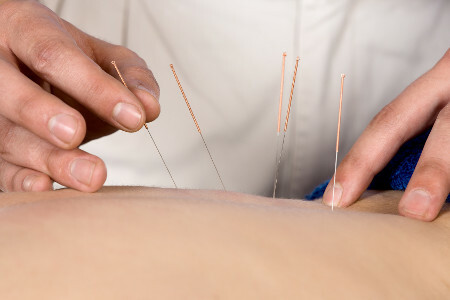 When administered over a needle 700 acupuncture points triggered a series of reactions : for example, the formation of the active substances morphine and neurotransmitters in the transition points between the nerve and muscle cells , blocking receipt of pain signals to the brain , stimulation of blood circulation, as well as the generation of immune system cells . Acupuncture is used most often for migraines , headaches, back pain and joint pain , exhaustion, burnout , allergies , asthma, digestive disorders , psychosomatic disorders , and in the process of smoking cessation . Effectiveness of acupuncture is indisputable. Ongoing studies on the subject have confirmed the positive results of this therapy . Acupuncture has advantages over the duration of the positive effect compared to standard techniques conventional Western medicine. Successful treatment using acupuncture achieved in approximately 80 % of cases. Influencing the health triad (structure, chemistry and psyche ) , acupuncture is a comprehensive method of treatment has virtually no side effects.